This is an easy side dish to prepare for any dinner or even brunch. I served this as a side to our Christmas Brunch. It was pretty easy to put together and the star of the dish is the Lemon Zest Butter. I recently purchased dried lemon zest from my favorite spice shop to experiment with. One way I used it was to mix it with butter and herbs to add some flavor to vegetables. It came out wonderful and definitely is a great way to use fresh or dried citrus zest, whether it's lemon, lime or even orange. Combine all the ingredients and store in fridge. Use to flavor roasted or steamed vegetables. 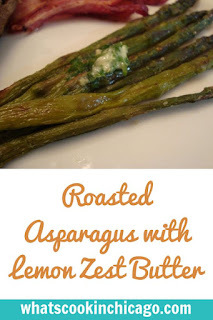 I'm such the odd bird - everyone in my family (including my husband) loves asparagus. I can't handle it at all! 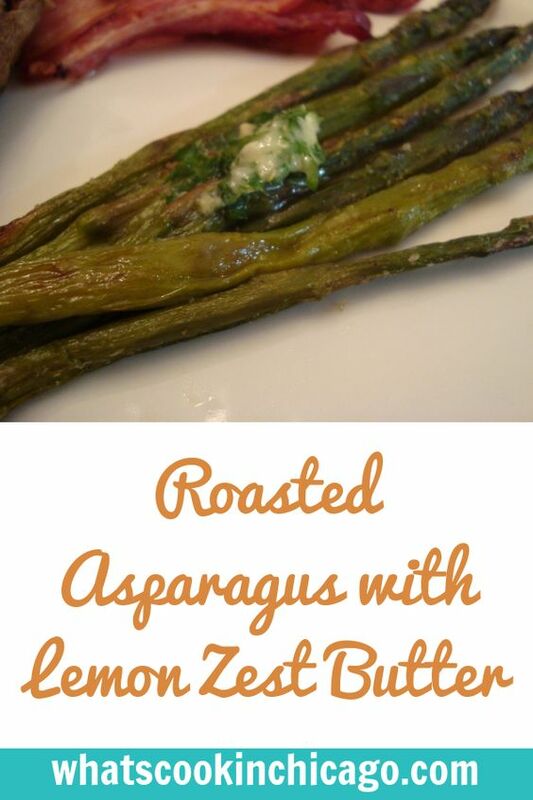 I think I may have to try this the next time I make asparagus!